Hawk Eye Nature Cam Review. Nature Camera. 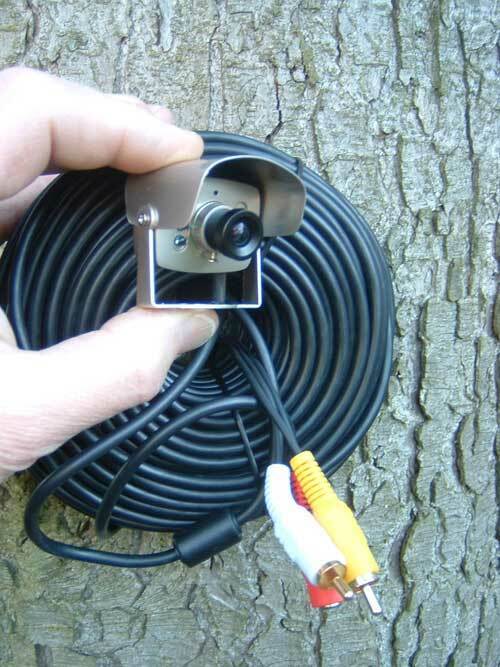 This is a Hawk Eye Nature Cam Review to help you understand how to hook it up and enjoy a nature camera. The Hawk Eye Nature Cam is a miniature television camera that brings the great-out-of-doors right into your living room. So you need something simple, really simple to use. I recommend the Hawk Eye Nature Cam because of its’ simplicity. Mount the Hawk Eye next to a feeder, a flower that your hummingbirds frequent, or a nest. There is a 100 foot cord that is attached, brought into your house and plugged into your television to view your hummingbirds indoors. Get out the popcorn and relax with your family enjoying the wonders of nature. The Hawk Eye comes with a protective weather shield. If the included 100 ft. cable isn't long enough, 100 ft. cable extensions are available! In sunlight, the scene will be in bright living color. Then as the sun sets and the light fades the cameras’ infrared lights take over bathing the area in invisible light letting you continue to watch in total darkness. There is a built–in microphone. So you can listen as well as watch. If you were wondering, you can use the Hawk Eye bird camera to view any of your other feathered friends. I hope my Hawk Eye Nature Cam Review opens up the possibility to turn your backyard into an entertainment center for everyone to enjoy!! 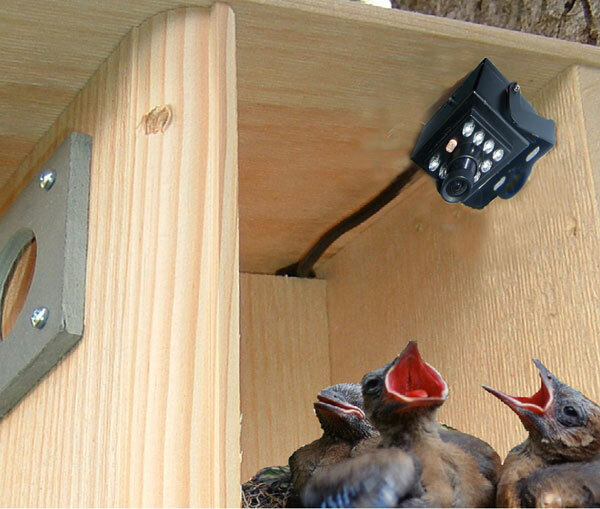 The "Birdhouse Spy Cam" company has come out with two new additions to their line of nature cameras. The first is their new "Hawk Eye HD Nature Cam" recording brilliant high definition video on your HD television! The Hawk Eye HD camera is a Miniature High Definition, 700 tvl, color video camera, with night vision, and microphone. It icludes a 100 ft detachable AV/electrical cable, and instructions. To Explain the 700 tvl quality: Analog surveillance video resolution is measured in terms of "broadcast TV lines" as viewed on a monitor screen. Video quality is charted with converging lines of higher and higher density. The TVL resolution number is the line density where the camera is no longer able to reproduce individual lines. The higher this number is, the better the picture. 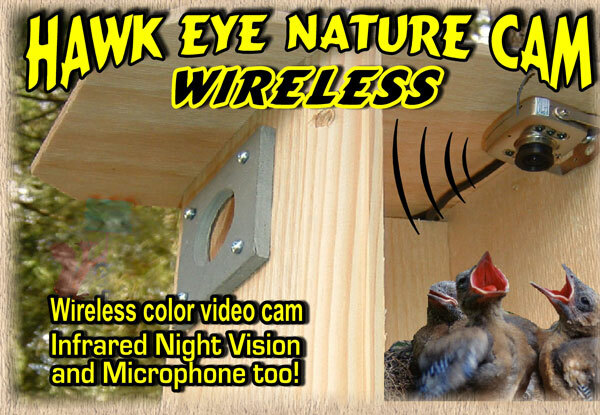 And the second is this new "Hawk Eye Wireless Nature Cam". The advantages of course is no wire/cable needed, I'd say "That's Pretty Sweet"! Purchase the Hawk Eye Wireless Cam. The Hawk Eye Wireless is the perfect solution for those who simply can't get the audio-video (AV) cable on the wired Hawk Eye Nature Cam into the house. The camera has infrared night vision, built-in microphone, a 70-degree, wideangle, variable focus lens, and sun hood. Note: There is no such thing as a totally wireless camera. All cameras still need electrical power and so some type of power cable must be run to it. Even thought it needs electrical power you may have an outside outlet on your house to supply the power. This would present the advantage of having no wires or cables running into your house. Once plugged in and operating, it will transmit the audio and video signals wirelessly to a receiver, which in turn passes the signals to the television or AV compatible computer.